During the time I spent in Goa, I kept hearing this name on everyone’s lips: Hampi. People kept talking about it. They wanted to go there, had just been there, or had someone else tell them to go there. I wanted to know why, so of course, I went. 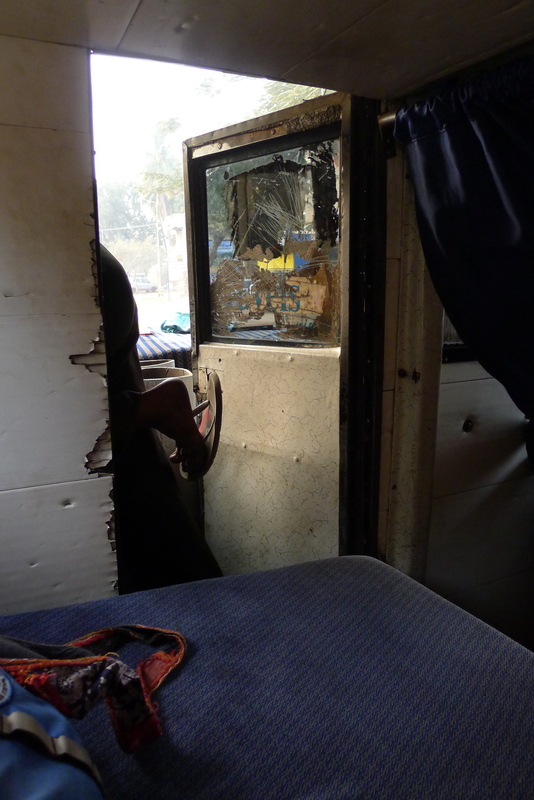 The adventure of getting from Goa to Hampi encompassed an ever so eventful overnight bus ride – Imagine a late night pick up in a dark deserted market with an early morning drop off at something reminiscent of the Pushkar camel fair if the camels had been replaced with auto rickshaws and the whole dusty scene were set amongst 600 year old ruins. Now put smack dab in the middle of those two scenes one long sleepless night of Indian men crawling over, into, and out of the dark tiny cubby where you are trying to sleep, while being jostled along at 90km/hr over potholed roads. The reward for such an adventure was figuring out what was so enchanting about this place that everyone just couldn’t stop talking about. 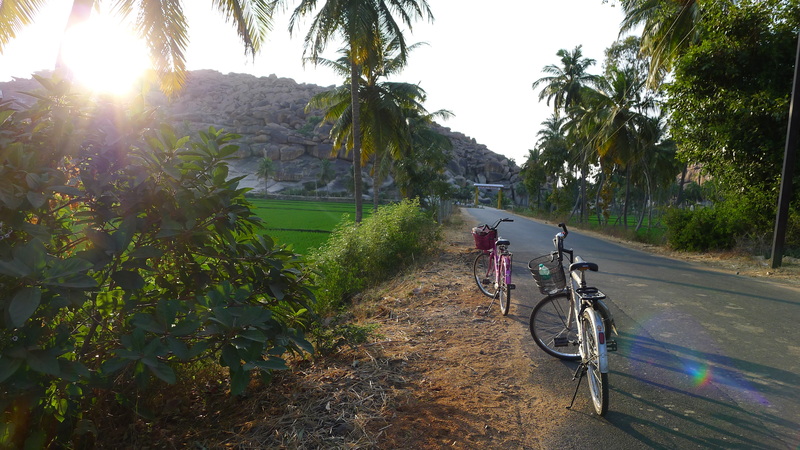 For me Hampi became a beautiful blue balcony lined with flowers, the sight of temples over the river, swaying palm trees, and bright green rice fields only interrupted by the randomly placed boulders that give the area its charm. Now a UNESCO world heritage site, Hampi boasts some of the most beautiful temples in India as well as a geographically unique landscape. If you’ve read the Ramayana you will know the place as Kishkindhya or the monkey kingdom from which Hanuman came. And trust me, all you’ll need is one afternoon bike ride outside the city to quickly see why this place was magical enough to make it into one of the most important Hindu texts ever written, and to still have us all swooning over and talking about it today.